Inferring Extinction: When is a Species as Dead as a Dodo? There are a few well-studied cases where we can assert extinction confidently. For example, the chances of the Dodo (Raphus cucullatus) having existed undetected for upwards of 300 years on an island now densely populated by humans are infinitesimally small. However, many extinctions are far harder to diagnose. Species typically become extremely rare before becoming extinct. If taxa are particularly cryptic or are found across a huge geographic range it is quite plausible that the few remaining individuals may exist undetected for decades. An extreme illustration of this is the 1938 discovery of Latimeria chalumnae, a deep-sea member of the Coelacanths, the entire order of which was believed to have become extinct 80 million years earlier! The burden of proof is thus very much on providing evidence that a species is extinct rather than having to show it is extant. Even supposing that resources are available for survey work, exhaustive surveys can be impractical in regions of political instability or in inhospitable or remote habitat. The exact point at which satisfactorily exhaustive surveys have been carried out is of course open to interpretation. Scientists can be understandably reluctant to declare extinction in case a species is abandoned too early. Why do we need to know if a species is extinct? Measures of extinction are needed for a variety of reasons. Firstly, a simple inventory of recent extinctions serves to highlight the ever-increasing list of unique species that have been lost forever, often as a consequence of human activities. A global measure of extinction rate is needed in order to help monitor biodiversity loss, particularly in light of international conservation targets such as the Convention on Biological Diversity. A more detailed understanding of extinction rates allows the examination of trends over time; by comparing estimates of recent extinctions to those of other geological periods we know that recent rates are 100 to 10000 times higher than those of pre-human times. On a more short-term scale, a plot of recent extinctions over time indicates whether extinction rates are increasing or decreasing. This helps to assess the effectiveness of conservation interventions. The Red List Index, for instance, based on the movement of species between Red List categories as a result of genuine improvement or deterioration in status – provides a reliable indicator of the success of conservation efforts. What Happens When we Misdiagnose Extinction? Despite our reluctance to declare species extinct, rediscoveries do occur reasonably regularly – a phenomenon known as the ‘Lazarus effect’. One such happy-ending is that of the Lord Howe Island Stick-insect, (Dryococelus australis). No live specimens had been seen since the 1920s and it was thought that they had been killed off by black rats. However, in 1964 a dead specimen was spotted by a rock climber on Balls Pyramid, a rocky pinnacle 23 km away from Lord Howe Island. A survey of the pinnacle was conducted in 2001 leading to the discovery of the first live specimens in over 70 years. A healthy captive breeding population has since been established and a re-introduction project is underway. 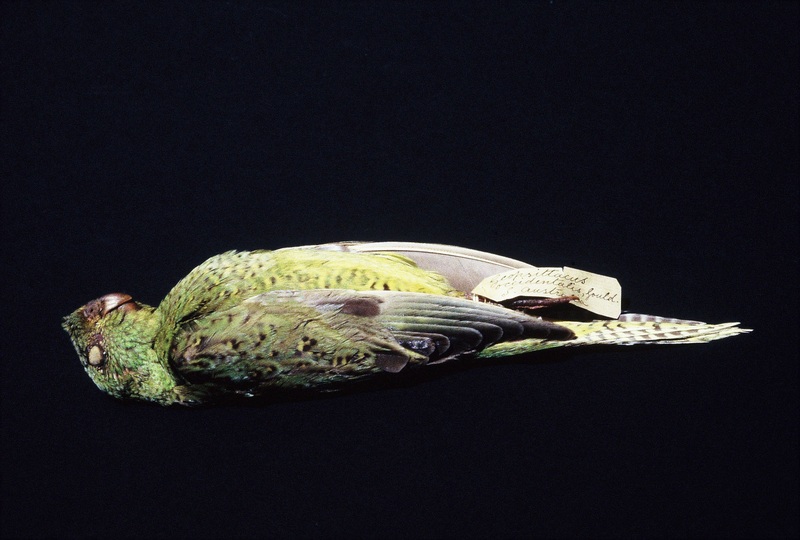 Another example is that of the Night Parrot (Pezoporus occidentalis), rediscovered in 2005. Given the sizeable number of species’ rediscoveries there must also have been instances where a species was declared extinct too early and then quietly continued, unobserved, to true extinction. Writing off a species too soon has been termed the ‘Romeo error’ and, as it did for Juliet, it can have tragic consequences. In 1959, following surveys on the island of Cebu, it was concluded that no suitable habitat remained for 9 of Cebu’s 10 endemic bird taxa and it became accepted that they were extinct. Alas, aerial photographs showing a patch of primary forest were somehow overlooked. In 1992 the Cebu flower-pecker and subsequently three other endemics were rediscovered in that forest, but a substantial amount of habitat, and likely the 5 other taxa, had been lost in the interim. We are thus faced with a conundrum. A precautionary approach to declaring extinction minimises the risk of Romeo and Lazarus raising their heads but is likely to significantly underestimate the true number of recent extinctions. BirdLife International have found a compromise to this by using a ‘Possibly Extinct’ tag for avian species which, based on available evidence and an objective framework, are likely to be extinct but have a small chance of remaining extant. An example is the Imperial Woodpecker, a conspicuous species threatened by habitat loss and hunting that has no confirmed sightings since 1956. However, there were anecdotal reports of it in the 1990s and it cannot be presumed extinct as the degree to which individuals can utilise regenerating forest is unknown. 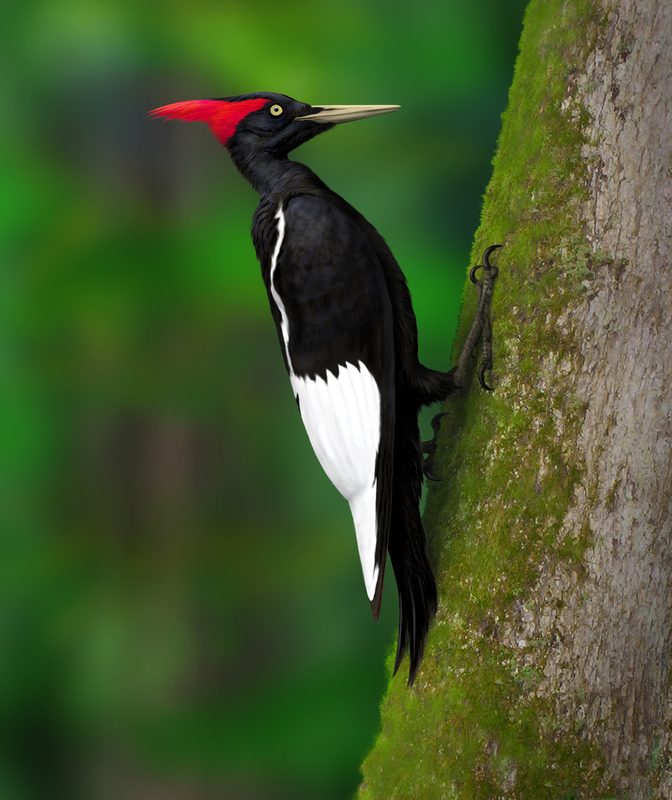 Painting of the Imperial Woodpecker (Camephilus imperialis). ©Tomasz Cofta. Since extinction is so rarely observed it is usually necessary to infer a species’ extinction date. Many species’ whose extinction status we are uncertain of are known from only a handful of sightings and we have little or no knowledge of the species’ ecology. Models have thus been developed to infer extinction dates based on sightings data alone. The different methods are variations on a theme. A species can be said to be ‘sighted’ if it is observed as present at a particular place and time. The times of these observations will make up the species’ ‘sighting record’ or ‘sighting history’ and with the lengths of time between sightings referred to as ‘gaps’. By comparing the final gap (i.e. the length of time that has passed since a species’ most recent sighting) with previous gaps in the sighting record we can estimate whether the length of the final gap could be expected by chance or is unusually long. An easy way to understand this is via a simple analogy: If you see your elderly neighbour walk past your gate every morning on her way to buy the newspaper you will likely start to worry that something may be wrong should you not see her two days in a row. Your other neighbour, however, is a bit of a recluse and keeps different hours from you. It would be a good few months of non-sightings before you started to worry about his welfare. With 16+ sightings record models published it is important to choose the method that is most appropriate for the data it is to be used with. This must take into consideration factors such as the number of sightings, rate of sightings, historical survey effort and uncertainty of sightings. Our review in Methods in Ecology and Evolution provides a guide to the models’ different assumptions and limitations. Whilst the outputs from these models should not be taken as a definitive answer regarding extinction, they do at least provide a practical way to put limited knowledge to use, giving an objective measure of a population’s status to inform conservation decision-making. A drawback of the sightings rate models is that the assumptions they require are often hard to judge or achieve due to the haphazard nature with which sightings records tend to be accumulated. Additionally, when further information on survey effort is available, it cannot necessarily be incorporated. The next step in this field will be the development of a framework in which sighting records can be integrated with other forms of information relevant to the assessment of extinction, such as the severity and extent of threats, survey adequacy, uncertainty of records and species’ life-history traits. Such a framework, coupled with a formal definition of the probability associated with ‘reasonable doubt’ should go a long way to objectifying the, to date, somewhat subjective process of declaring a species extinct. This entry was posted in Conservation and management, Methods papers and tagged biodiversity, Biodiversity Loss, BirdLife International, Cebu Flower-Pecker, Convention on Biological Diversity, Dodo, Extinction, Imperial Woodpecker, International Union for Conservation of Nature, International Women's Day, Lazarus Effect, Lord Howe Island Stick Insect, Night Parrot, Possibly Extinct, Rare Species, Red List Index, Romeo Error, Species Rediscovery, Women in STEM by Chris Grieves. Bookmark the permalink.